A Complete Guide to Cloud Computing Terms. The definition of what makes something a cloud-native application can be a little (pardon the pun) cloudy. This lack of clarity is curious given that by 2020, it is predicted that the "Cloud Shift" will affect more than $1 trillion in IT spending, making cloud computing the next major technological disruptor. We have tried to address not only how we define the various elements of cloud-native here at MojoTech but have lumped the cloud terminology into categories to help give more context for how all the elements work together. The first step toward cloud maturity. Cloud-enabled applications have been moved to the cloud, but are still developed for deployment in a traditional data center. See "Lift and Shift" below. Cloud Optimized Applications take Cloud Applications one step further, optimizing them for access to more cloud features without having to be re-developed as cloud-native applications. Some of these features might include the use of third-party APIs for services like email, file storage, SMS, analytics, performance metrics, logging, search, and even data-stores. For more info about leveraging the cloud, watch our Q&A with CTO, Chris Shoemaker. Without DevOps, you may end up with an application that has all the correct business features, but which you can't deploy and maintain reliably. 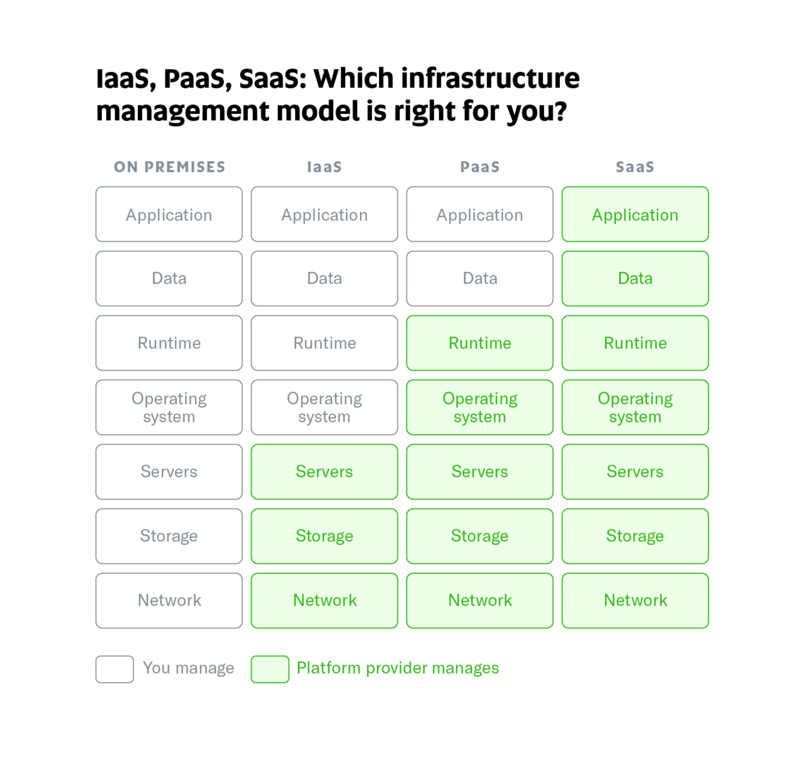 IaaS A distant cousin of SaaS, Infrastructure as a Service is a model of cloud computing in which the vendor hosts or “rents out” virtualized computing resources, as well as network and storage resources, and provides them to a customer. Over time, this greatly reduces a business’s capital expenditures (buying and maintaining physical hardware). The consumption-based billing model becomes an operational expenditure instead. Software as a Service is the most widely used model of cloud computing. A third-party provider hosts, manages, and stores an application, making it available to paying customers, typically via a subscription basis.